The installation of a revolutionary system has been completed at the Rehabilitation Hospital at Sheba Medical Center, Tel Hashomer. 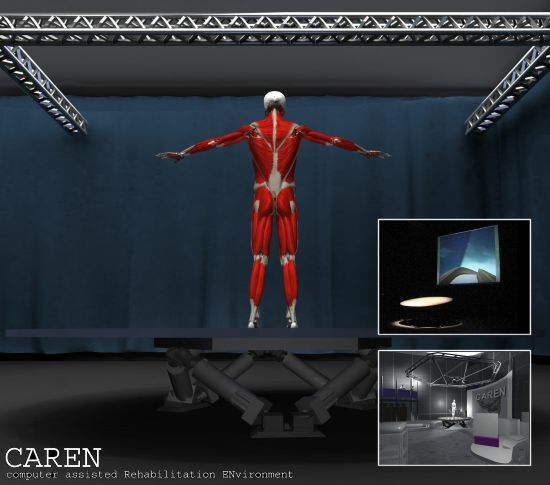 CAREN – (Computer Assisted Rehabilitation Environment) is a multi-purpose, multi-sensory system for diagnosis, rehabilitation, evaluation and recording. 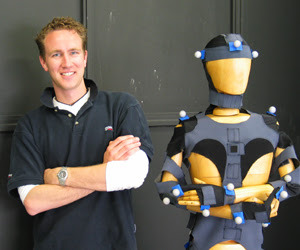 It records a person's ability to balance and controls movement. 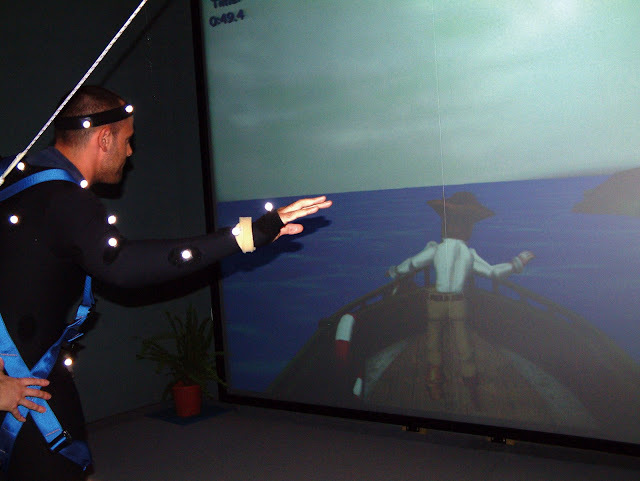 The system works in real time and enables the creation of a range of experiences in a controlled environment that can be repeated using the principles of virtual reality technologies. 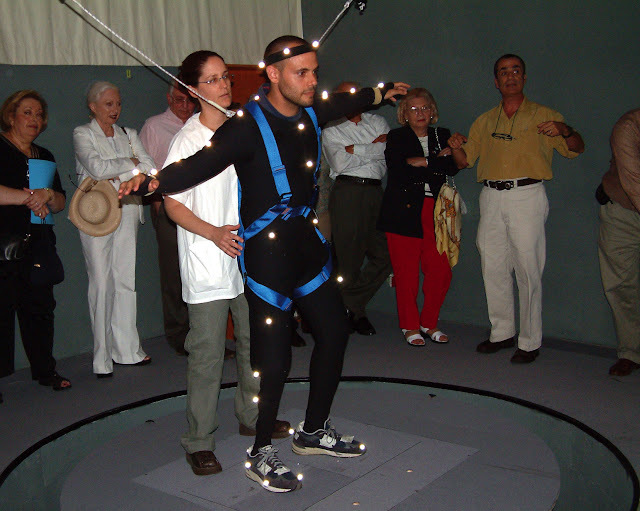 CAREN is made up of a moving platform, which allows the manipulation of the ground a person stands on while the motion capture system measures and records the person's movements. This places the person at the core of a feedback loop that can be predicted. The unique characteristics of the system enable the simulation of familiar surroundings and moreover, creation of situations which do not occur naturally, for example, one in which the person controls and influences the ground he is standing on in a dynamic and active way. This type of situation requires his full concentration and a full awareness of stability, balance and movement. Thus, new possibilities that have heretofore gone un-researched open up before the researcher or the patient. For the caregivers, this is a rare opportunity to work with the patients on new strategies of movement and balance as well as changing and improving existing models thereby diminishing the time required for an exact diagnosis and successful rehabilitation whether referring to a patient who stands on both feet, a patient in a wheelchair or fitting or adapting to a prosthesis. Dr. Itzhak Siev-Ner, head of orthopedic rehabilitation at Sheba, said virtual reality helps his patients retrain their brains and bodies to function and works much faster than traditional rehabilitation methods. "The system helps to strengthen muscles, to improve your stability, balance, and to translate it to everyday life," he said. "The integration of all these activities — and this is oversimplifying it — enhances the plasticity of the central nervous system." Siev-Ner said the video game scenarios, which keep scores to allow doctors to monitor progress, distract the patient from pain and involve more complex coordination than normal physical therapy. It is no accident that the first clinical use of virtual reality is in Israel, where a perpetual state of war has led to a constant flow of casualties. "Unfortunately there is a quite a good industry here," said Oshri Even-Zohar, the Israeli who first conceived the system in 1990 but said the necessary computer technology wasn't available for seven years. 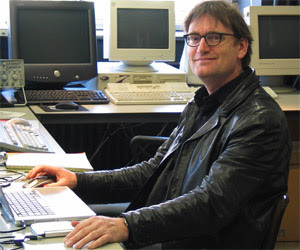 Even-Zohar built the prototype in the Netherlands using a grant from the European Commission. According to Professor Shlomo Noy, Director of the Rehabilitation Hospital, "The Integrated Reality will enable simulation for patients in a safe environment, to teach them to walk and to balance their limitations of movement while receiving feedback from the system. The system is similar to any simulation system (like a pilot's) and permits a patient greater familiarity with his limitations. "CAREN is a development of the MOTEK company.